This challenge is a .NET application. 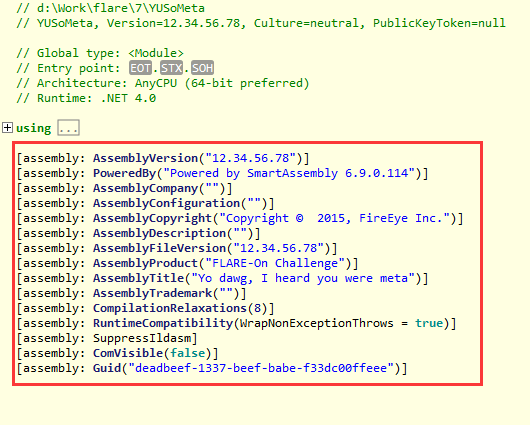 There are many tools to decompile a .NET application and here I use the ILSpy. 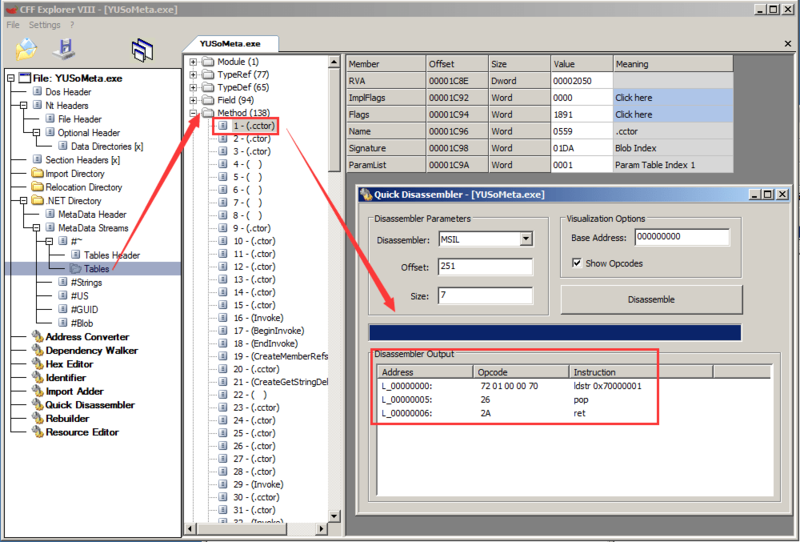 However, this is a problem that we don’t know the correct order to put those CustomAttributeData together as a string. Since there are not too many CustomAttributeData, one possible way is to brute-force all the orders. But I will not solve this challenge in this way. 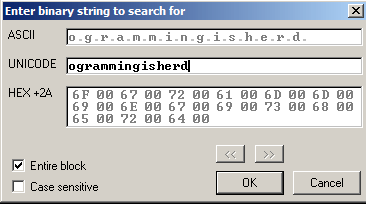 As we already have the first part of the string “b”, when this program compares the string with our input, the string must present in the memory, so why not just search it in the memory? Share the post "FLARE On Challenge (2015) #7"
This entry was posted in CTF and tagged Challenge, FLARE On, Solusion, Writeup. Bookmark the permalink.